Lions, and Tigers, and Polka Dot Baboons – OH MY! It’s time to get wild! Today Zynga’s latest mobile game Dream Zoo has launched in the App Store on iPad, iPhone, and iPod touch and will be coming soon in Android Market. 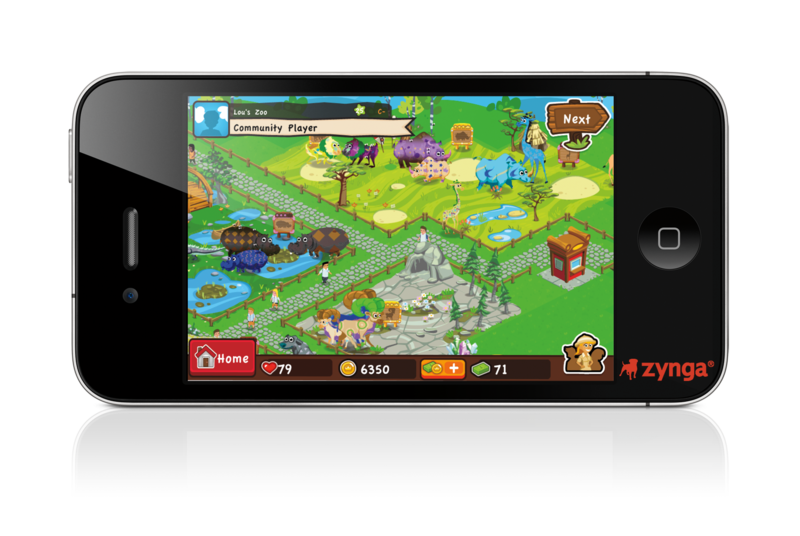 Dream Zoo is Zynga’s first zoo themed game where players can collect, breed, and care for the world’s zaniest animals in their very own zoo. Create and expand your zoo by breeding animals only found in your wildest dreams – imagine rainbow giraffes and polka dot gazelles. There are thousands of varieties possible and players can watch their animals grow from birth to teens to adults. Embark on wild safaris, visit friend’s zoos and discover different habitats and terrains. Don’t be accused of being a neglectful zoo keeper – make sure to care, feed, pet and clean your animals for bonus points (plus their love and affection). And, be sure to earn extra bonuses with Dream Zoo’s location-based bonus play feature to unlock in-game rewards when you play from multiple locations. What will you dream up in your zoo? Come play!